This page describes the Aalto centrally-managed Mac computers, where login is via Aalto accounts. If you have a standalone laptop (one which does not use your Aalto account), some of this may be relevant, but for the most part you are on your own and you will access your data and Aalto resources via Remote Access. When you get a computer, ask to be made primary user (this should be default, but it’s always good to confirm). This will allow you to manage the computer and install software. The first time you login, you must be on an Aalto network (wired or aalto wifi) so that the laptop can communicate with Aalto servers and get your login information. After this point, you don’t need to be on the Aalto network anymore. Login is via your Aalto account. The password stays synced when you connect from an Aalto netowrk. You can mount Aalto filesystems by using SMB. Go to Finder → File or Go (depending on OS) → Connect to Server → enter the smb:// URL from the data storage pages. You can find more information at For generic ways of accessing, see Remote Access. For Aalto data storage locations see Data storage, and for the big picture of where and how to store data see Data: outline, requesting space, requesting access. The program AaltoFileSync is pre-installed and can be used to synchronize files. But you basically have to set it up yourself. If you are the primary user, in the Software Center you can install the program “Get temporary admin rights”. This will allow you to become an administrator for 30 minutes at a time. Then, you can install .dmg files yourself. This is the recommended way of installing .dmg files. There is an application called “Managed software center” pre-installed (or “Managed software update” in older versions). You can use this to install a wide variety of ready-packaged software. (ITS instructions). Homebrew is a handy package manager on Macs. On Aalto Macs, you have to install Brew in your home dir. Once you install brew, you can easily instnall whatever you may need. First install Xcode through Managed Software Centre (either search Xcode, or navigate through Categories -> Productivity -> Xcode). # This is a MUST!!! # Check if brew is correctly installed. The “Get temporary admin rights” program described under .dmg file installation above lets you get some admin rights - but not full sudo and all. You don’t need full admin rights to install brew. If you need sudo rights, you need a workstation admin (wa) account. Contact your department admin for details. The CS department provides a full clone-backup service for Aalto-installation mac computers. Aalto-installation means the OS is installed from Aalto repository. We use Apple Time Machine. Backup is wireless, encrypted, automatic, periodic and can be used even outside the campus using the Aalto VPN. It is “clone” because we can restore your environment in its entirety. You can think of it as a snapshot backup(though it isn’t). We provide twice the space of your SSD; your Mac has 250GB of space, you get 500GB of backup space. If you would like to enroll in the program please pay a visit to our office, T-talo A243. You set your own encryption key and only you know it. The key is neither recoverable nor resettable. You lose it, you lose your backup. We set it on behalf of you and only we know it. 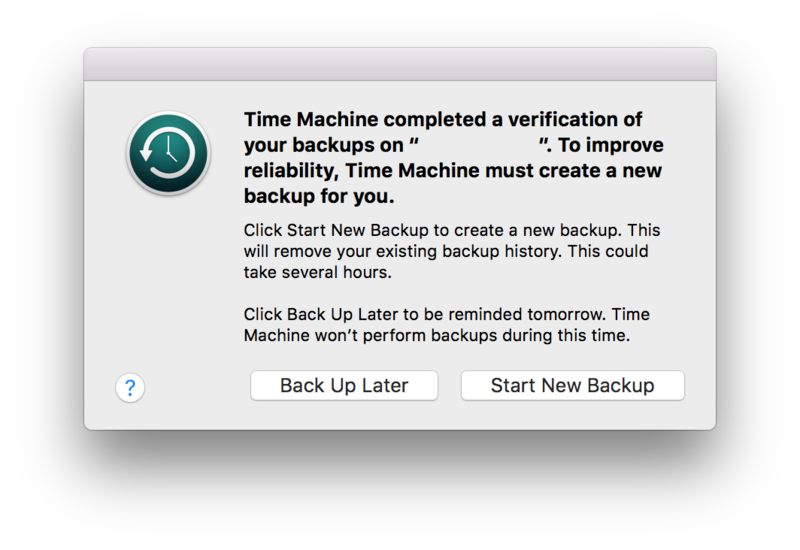 With Time Machine you have two options for restore. In case your Mac is broken, you can restore completely on a new Mac. For this, you must visit us. # Is the server alive? # If alive, probably it's your keychain. # Watch the video below. # If dead, something's wrong with the server. This is an unfortunate situation with an unknown reason. We take a snapshot of your backup. Please contact CS-IT. It is a mysterious bug which Apple hasn’t solved yet. We can reinstall your system for you.